Joseph DeYulis, CPA, has been a Partner of Catanese Group since 1993, after joining the firm as a Staff Accountant in 1979. Mr. DeYulis serves as the Director of Taxation and specializes in providing consulting services to professionals in service industries. 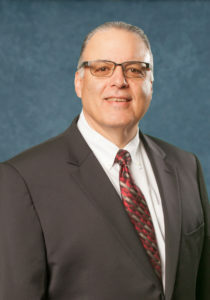 His concentrations are law firms, retail businesses, and medical practices, which include primary care and specialty physicians, dental, and veterinary practices. In addition, Mr. DeYulis provides business planning services such as business organization, business setup, multi-state registration, and tax issues. He provides tax planning services for professional corporations and closely-held corporations, personal financial consulting, and provides representation to clients involved in governmental examinations. He is experienced in estate planning, retirement planning, estate and trust accounting, and foreign taxes relating to individuals who have assets in foreign countries.